If you are healthy you will have a glowing skin. Because of the busy schedule, most of us tend to neglect our health. This can affect your skin also. Smoking, drinking and unhealthy snacking can also cause various skin problems and dull skin. However, you can reverse these external bad effects by consuming healthy food. This helps in keeping your skin fresh and glowing. Below is given a sample plan on healthy diet that helps in providing you glowing skin. This diet can give a healthy glow to your skin. Try to include them in your daily diet routine and you will the change it brings to your skin. Breakfast is one of the most important meals of our routine. You should never skip breakfast. Morning diet should include various kinds of foods and nutrients, so that it keeps you active throughout the day. So, make sure that you have a good and healthy breakfast. Some skip breakfast thinking that lot can help them reduce weight. But this is not true. Have some protein also. Egg whites, sprouts, chicken or cottage cheese are good options. Take one bread slice and spread capsicum, onion tomatoes and cucumber. Place the chicken/cottage cheese/boiled egg/vegetable filling over it. If you are taking chicken pieces or cottage cheese, it will be better if you stir it in the pan after adding some spices like red chilli powder, a pinch of turmeric, garam masala and salt. You can use olive oil for stirring. Now place the stirred items on the blotting paper to remove excess oil. Place them on the veggies. If you are making egg sandwich, cut the egg into slices and place the slices on the veggies. Now take the second slice of bread and rub some tomato pudina chutney on it. Follow this with ketchup. Now sprinkle some chaat masala on the chicken/egg/cottage cheese and then top it up with a slice of cheese. Then put the second slice of bread on top of the first slice of bread. Grill both the sides and have it while it is hot. Have some beverage like lassi, buttermilk, lemon water or coconut water. Have a whole fruit. If you are very hungry, you can have fruit salad. Lunch is also an important meal of the day and make sure that it is well balanced with all kinds of nutrition. Have a portion of cereal. You can have chapatti/roti or a bowl of rice. Try to have brown rice. Vegetables: Have vegetable salad or a make a simple vegetable preparation using fresh green vegetables. This will be good for your body s well as for your skin. Proteins like dal/fish/chicken/egg also should be included. One portion of protein like dal/eggs/chicken/fish etc. One portion of vegetable. You can have it in the form of salad or prepare any dish with vegetables. 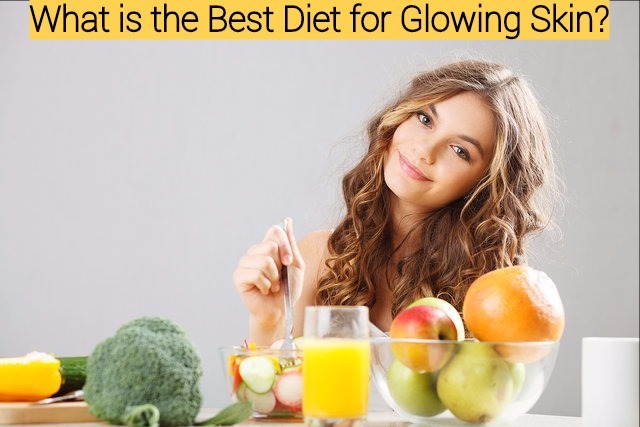 This diet plan is very effective for getting a healthy and glowing skin. There are also some additional secrets for getting glowing skin. Make sure that you include protein rich foods like fish, chicken or eggs in your regular diet. Consume leafy vegetables like sprouts, beans, broccoli, spinach, celery etc. Have vegetables of different colours in your daily diet. Vegetable in three colours – red, green and yellow- can help in providing you glowing skin. Tomatoes are good for reducing damages caused by the sun. They are rich in the antioxidant lycopene, which can fight against free radicals. The redder the tomato, more lycopene it has. Green and yellow vegetables are also good. Papaya is great for your skin. It contains active enzymes that benefit the skin. Chymopapain, an enzyme found in papaya, is found to relieve inflammation. Another enzyme called papain can get rid of blemishes as well as acne if you apply it topically. Having a cup of fresh, ripe papaya can provide you with 144 percent of the collagen-strengthening Vitamin C. So, include papaya in your regular diet. Instead of taking black tea try to have green tea. Food items like pomegranate, berries, carrots, citrus fruits, cucumbers etc are good for glowing skin. Drinking peach juice, watermelon juice etc is also good for the skin and keeps it radiant. Remember to do some exercises like yoga. This can help in keeping your body healthy from within. This along with proper diet is perfect for getting clear and glowing skin. Coconut water and oil are great for taking care of your skin and adding glow to your skin. Drink the coconut water when you crack open the coconut shell. It is full of electrolytes that can replenish and hydrate your skin. This way you get softer and younger looking skin. Coconut oil keeps your skin healthy and glowing. How Does Eating Papaya Fruit Help In Weight Loss?